On brand new episodes of "Rock the Park" (The CW), American's National Parks are getting the Hollywood treatment! Together, co-hosts and best friends Jack Steward and Colton Smith tap into American's love affair with national parks, taking viewers on a journey to some of the most awe-inspiring places on Earth. From majestic geysers in Yellowstone to molten volcanoes in Hawaii to the tallest living trees in the world in Sequoia National Park, wherever they travel, there's always plenty of adventure! 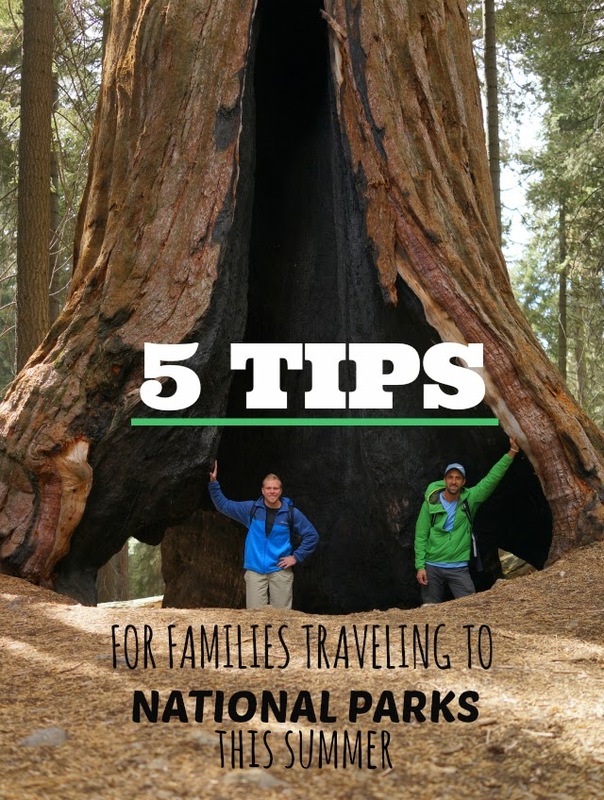 With summer vacation just around the corner, Jack and Colton recently shared some fantastic tips with us for families planning a national park trip, and the best ways to explore the parks with little ones. Get excited! Jack says: "When my parents decided to take our family to Yellowstone, they started to show me books about what we were going to see on our trip right away." Excitement is contagious and the more you teach your family about the park ahead of time, the more they will anticipate the trip. The key to getting kids excited about nature is to describe the amazing things they will get to do. Our national parks offer experiences that are out of this world, and once you go through the gates of the park, you will have the time of your life! Don't be afraid to drive. one of the best elements of a national park trip is packing up the car and driving. These long car rides teach kids that the journey is just as worthwhile as the destination. Make sure to stop at roadside attractions and have picnics! The time you spend with your family on the road will make memories you'll cherish forever. If you can camp, go for it! Camping is one of the best ways to get the full experience of nature in the parks. There is something special about waking up in a tent, cooking breakfast over a fire and hitting the hiking trail. When you camp, your national park experience doesn't end when you finish your last hike of the day, and that is the fun of it! You don't have to camp the entire trip, but if you can, try to spend a night or two roughing it. Hit the trail! You can see a lot in a park from the road, but nothing compares to getting out and exploring the park on foot. Pick moderate hikes that will challenge your family, but also reward them with a spectacular destination. Hiking teaches kids that hard work pays off. When you reach that spectacular destination, you will look back on the experience and feel good about the work you put in. Plus, you'll have a great story to motivate everyone when you're hiking again! Talk to a park ranger. Part of the national park experience is learning about the park and what makes it unique. It's always special to talk to somebody who is passionate and excited about what they are doing. Park rangers are there to help you learn about the wildlife, geology, and history of the park you are visiting. If you can, go for a ranger-led hike. This will help your kids learn something new. Who knows, maybe you will be inspipring the next great junior ranger! Episodes of Rock the Park air Saturday mornings on The CW through September 25, 2015. Check your local listings. We wish you all happy and safe travels this Summer - make some amazing family memories!